“Hey boss, what do you think of the new driver?” Uh oh. Although most safety managers prepare great selection and training processes, it is often hard to measure a driver’s risk. That risk is called driver risk management. First, let’s discuss what is risk management. Risk management means identifying what can go wrong and then planning ahead to minimize those risks. Here’s an example. Let’s say an NBA general manager is prospecting draft picks. The GM can have the perfect prospect – say a 7-foot center who can make a real impact on both sides of the court. However, without proper risk management such as looking at health history, the pick can be disastrous. That’s what happened with Greg Oden, a super talented college star who never made an NBA impact because of multiple knee injuries. Of course, the same concept applies to fleet management. Driver risk management is the process of figuring who are the riskiest drivers. Ideally, managers would want a crystal ball that would tell them which drivers will get in an accident. Unfortunately, those crystal balls don’t exist. 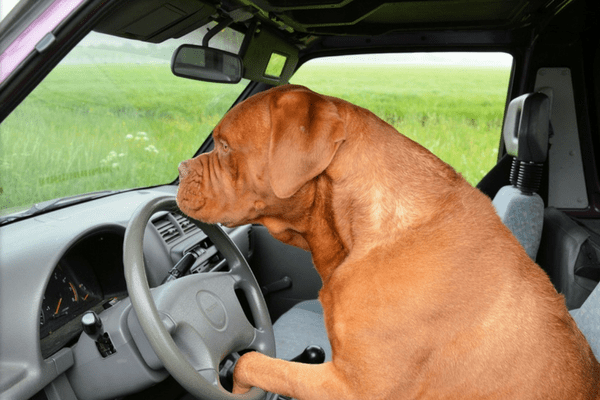 Without crystal balls, what are some good ways to have driver risk management? For a long time, managers only looked at their drivers’ accident history. If a driver was in an accident, it’s more likely that they will be involved in another one. For that reason, these drivers are labeled as the riskiest. Perhaps the biggest shortfall is that traditional driver risk management is reactive. Managers would only classify a driver as risky after they get in an accident. That defeats the purpose of risk management, which is meant to prevent accidents from happening in the first place! Accident histories might not be the most reliable source of data. Since reports do not contain the entire story, managers still have to ask a few questions. How long ago was the accident? What caused the accident? Who was at fault? Accidents do not necessarily reflect a driver’s skills and it would be shortsighted to label a driver from a single incident. The best practice in modern driver risk management is to proactively look at data. “Big data improves safety,” wrote Jorge Gonzales, a Geotab Solutions Engineer. “The quantity and quality of data is possible to process with the right tools. Here are a few examples on how big data improved driver risk management. Take a look at the graphs above. Clearly, the biggest change is the blue part. Blue represents speeding. When drivers speed, they are involved in more serious accidents. Here is another graph. 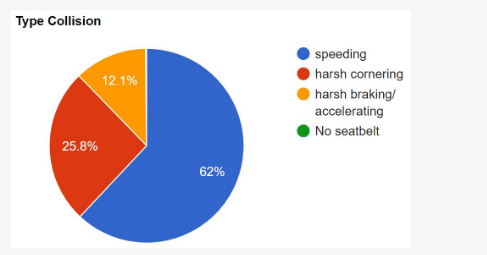 This graph shows that speeding is the most common GPS event when vehicles are involved in a collision. 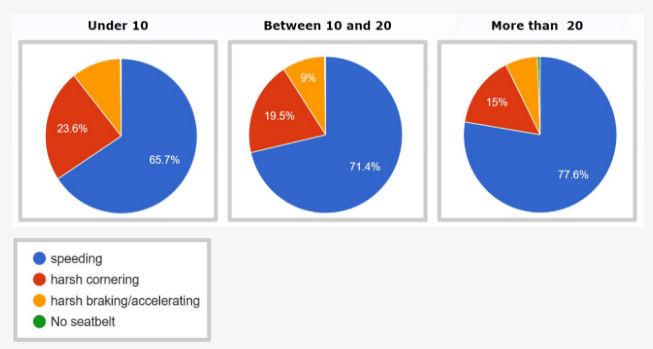 It’s no secret that monitoring speeding directly correlates to driver risk. It’s like the movie Moneyball, where a baseball GM selects his players based on their On Base Percentage stat; many safety managers use speeding stats to gauge a driver’s accident risk. Distracted driving is another big area in risk management. 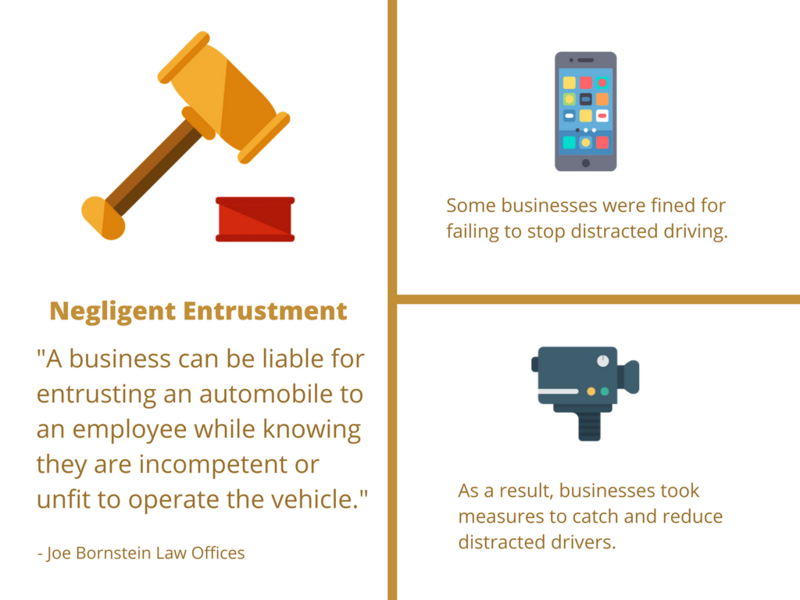 According to a tort law called “negligent entrustment”, businesses can pay the price for distracted drivers. Negligent entrustment is a fancy way of saying that a person is responsible when they let someone use a risky tool – a car, for example. Businesses must take reasonable steps to prevent distracted driving or they can be fined. As a result, businesses started collecting data on distracted driving. For instance, some businesses use live streaming cameras to check if a driver is distracted. Other businesses use eye detectors to create distraction reports. Some managers use a framework called “ABC” to assess driver risk. ABC stands for Attitude, Behaviour, and Competence. One of the coolest new ways to identify risky drivers is to use online testing. Online tests help managers complete a full picture on a driver. It assesses anything from their road knowledge to their concentration. For example, E-Training World has online exercises to test driver concentration. In a test, a driver is shown a traffic picture for 12 seconds. After the 12 seconds, there is a multiple choice question about the picture. Online testing, as a result, helps managers identify risky drivers who have not yet shown risky behaviours on the road.